Air Arms, Artemis, BSA, Crosman, FX, Hatsan, Kral, Remington, SMK, Stoeger, Umarex, Walther, Weihrauch and Webley. For shooting enthusiasts and newcomers alike, air guns are a great introduction to shooting sports. We stock junior rifles and entry-level rifles for beginners alongside top end pre-charged pneumatics (PCP). There’s also a choice of calibre from 177, .20, .22 and .25. 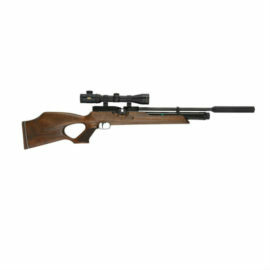 177 and 22 air rifles are a firm favourite with our customers. 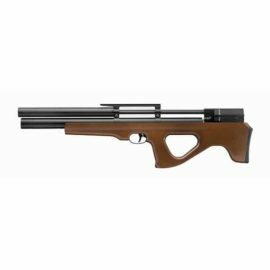 What air rifle should I buy? 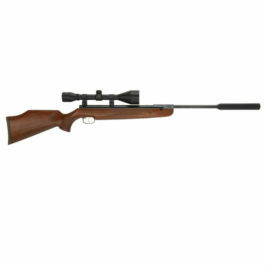 Air rifles are a popular choice of gun, largely because they offer an accurate and consistent shot. 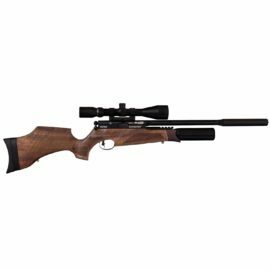 We recommend full power 11.5 ftlb air guns for vermin control, as well as targeting shooting. Whether you’re at a club or at home practicing, these guns will deliver. 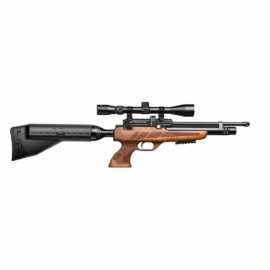 Spring rifles are particularly low maintenance, offering great affordability. But if you’re after the best in accuracy, browse our range of PCP air rifles. 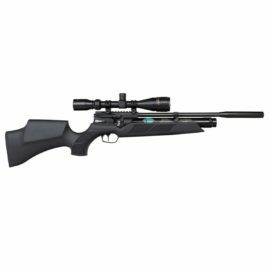 With no recoil, they’ll deliver an accurate shot time and time again, ideal if you’re practising for a competition, or for pest control. What’s more, we also stock PCP rifles with multi shot magazines, so loading subsequent pellets is easier than ever. 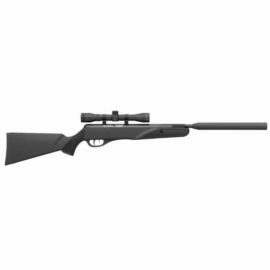 What are the different types of Air Rifles? 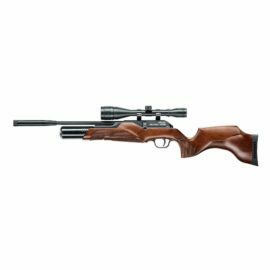 Spring Powered Air Rifles, also referred to as ‘springers’ are the most traditional types of firing method used within an air gun. When the rifle is cocked the spring is compressed. When the gun is fired the spring releases and pushes the piston forward to fire the pellet. Very similar to a spring air rifle. The main different is that when a gas ram is cocked it is compressed a gas charged piston. When the rifle is fired it releases the gas ram and pushes the piston forward. PCP Pre-charged pneumatic air rifles will feature a charged air cylinder or bottle. 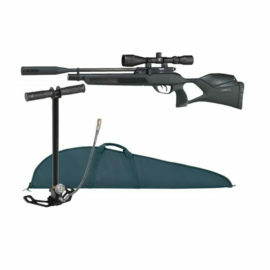 PCP air rifles are fired by cocking the rifle using a bolt or lever. This compresses the hammer spring and when fired the hammer hits the firing valve which releases a set charge of air to fire the pellet out of the barrel. 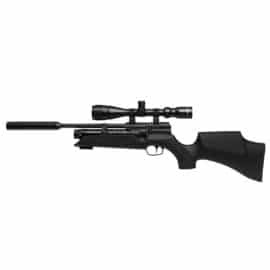 A bullpup air rifle is a rifle which has the action located behind the trigger area. 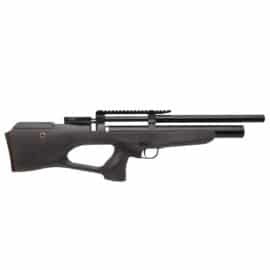 Bullpup air rifles are more compact in design then the standard version of an air rifle. Barrel length will still be the same, it is simply retracted further back in the stock and gives the appearance of a shorter barrel. 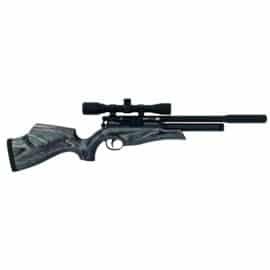 While we try to keep all our stock listed on our website, we often have even more air rifles available at our shop in West Malling. If you can’t find what you are looking for, get in touch via phone on 01732 870023 or email us at airguns@countrywaygunshop.co.uk.